Her stories were famous. She took the children to hopeful places of future promises. Three years ago her son passed away. She gathered her woolen shawl tightly around her. A shawl woven from black strands of despair and gray threads of sorrow. The prickly fibers snagged the jagged edges around the tear in her heart. But she knew she could never discard it, for wasn’t pain better than anesthetized numbness? They were filled with melancholy yesterdays. Then one day, there were no more stories for she could no longer imagine. Oh, there were times when she found herself laughing out loud at the little one’s antics. And when she picked up her knitting again, she was drawn to the softest of yarns. The slow rhythmic motion comforted her and offered solace. She suddenly wanted a bird feeder to be placed right outside her window and would smile ever so slightly at the cardinal and her mate. She rested her weary heart in the arms of his strength. Her other children, grandchildren and family give her glimpses of what surely could still be. He would have been 40 years old. Nine days ago he would have been 40 years old. 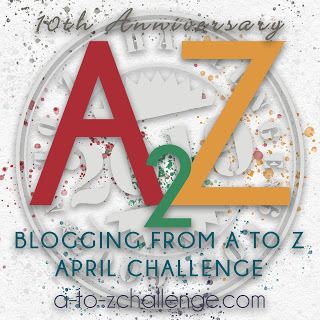 Lynda Grace wants to thank the Blogging from A to Z challenge for inspiring her to imagine once again. I am glad you are imaging again; these stories you are writing are beautifully written with lots of thought behind them. Again, I am so sorry with the loss of your son and such a milestone birthday this year would have been. Thank you Betty. I look forward to your comments. You are special. 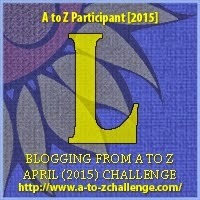 I left a blog award for you at http://www.tamaranaryan.com. Please stop by if you're interested. Thank you Tamara. I am honored to be nominated for the award. I'm so sorry. Congratulations on finding your imagination again. Thank you Liz. Yes, it’s amazing how writing every day makes imagining easier. Thank you for visiting. Yes, I feel so fortunate to have someone by my side.